P&C insurers may not be well known for speeding down the technology highway, but advances in the Internet of Things (IoT) have many carriers sitting up and taking notice. To date, auto insurers have been the forerunners in adopting and utilizing connected technology to assess driver behavior and customize coverage, but opportunities in the age of the smart home are big for providers of homeowners policies as well. Take a look at Sarah, a single woman in her late twenties. She’s a member of what many people call generation Y or a millennial, the first group of digital natives that have grown up embracing and utilizing an ever-expanding array of technological devices. She could just as easily be the George Jetson of the modern day. Having just purchase her first home, she has outfitted it with a wealth of connected devices once only dreamed of in cartoons and sci-fi films. Doorbell monitors allow her to see who is ringing through a smartphone app. Connected smoke detectors alert a central agency to potential problems, and her thermostat can be controlled through her computer and mobile device, allowing her to change temperature settings to conserve energy when she is at work or out on the town. Due to her technology-centric lifestyle, Sarah has more complex and unique insurance needs,[i] and she isn’t alone. Across generations, technology is being adopted to simplify life and customers expect insurers to meet them with customized product offerings. Delivering this level of service takes fundamental digital capabilities that many insurers are struggling to adopt and get right. By 2025, a family of 4 could have more than a hundred connected devices. [ii] That’s twenty-five devices a person, so Sarah is well on her way. Like most people, she spends a lot of time on her smartphone and prefers to shop and make purchases online. Someone like Sarah is less likely to spend time on the phone with agents but will engage willingly through online channels and mobile apps. As Sarah connects more of her home and devices, she’ll spend more time in a digital reality, and the insurer who gets her business will need to be there too. That means offering online quoting, binding and issuance as well as a host of engagement channels to meet her needs. Given the heavy development costs associated with new products, insurers will need to partner with third-party vendors to offer the related services customers will be seeking in an IoT world. Strong digital capabilities will provide them with access to the expanded network of products and services they need to personalize coverage for customers like Sarah. A leading digital distribution platform allows carriers to bundle their current offerings with those from other insurers and vendors to customize a complete protection solution, all without taking on additional risk. As insurers delve into the Internet of Things, savvy carriers will use the information gathered from connected devices to create a personalized insurance experience. For instance, developing apps that track responsible homeowner behaviors, such as locking doors and setting home security systems, will help carriers and their customers mitigate risk, but even understanding simple behaviors, such as the fact that Sarah turns her thermostat down during the day, is useful to insurers. Sarah’s habits and lifestyle choices deliver important insight that could drive marketing efforts and product customization. Digital distribution platforms powered with innate analytics put it all into perspective, distilling down a wealth of data to the pertinent factors and then turning it into the actionable information critical to insurers. As customers of all generations continue to embrace technology and the connected IoT environment, insurers will realize many opportunities for growth, but it will take innovative technological and process changes to meet the challenge. Stay tuned as we continue our series on the Internet of Things and take a look at how insurers can simply and easily align their businesses to the new connected world. [i] J.D. Power. Insurance Providers Focus on Customer Experience As Rates Remain Relatively Stable, J.D. Power. jdpower.com. 19 Sept. 2016. Web. [ii] Reifel, Joseph, Mike Hales, Alyssa Pei, Shamik Lala, and Neeti Bhardwaj. 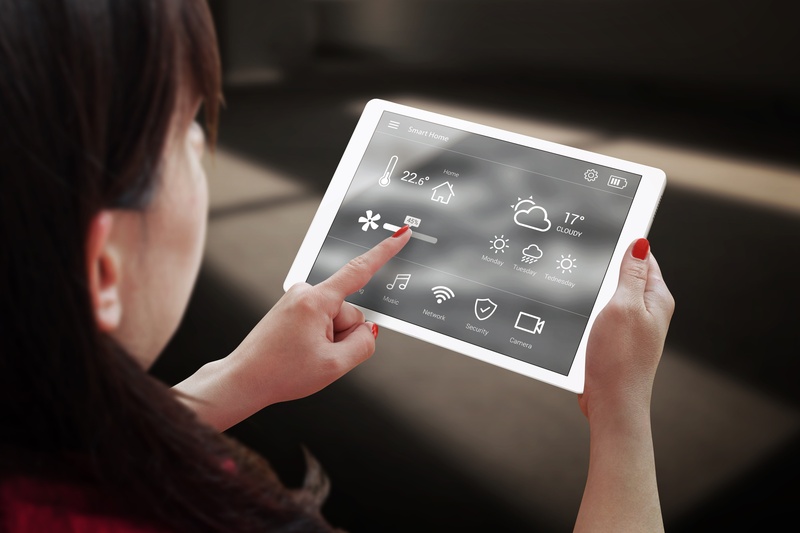 The Internet of Things: Opportunity for Insurers. Rep. AT Kearney, 2014. Web.